Laurie Wernke RN has been the Parish Nurse since the fall of 2002. Laurie has lived in rural Lennox for the past 30 years. 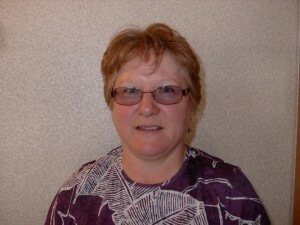 She started her career in Nursing in 1980 at Sioux Valley Hospital. She had over 15 years of nursing experience at Sioux Valley Hospital before she started Parish Nursing. Laurie has been a Parish Nurse now for over 10 years. She also works in the GI lab at Sanford Health. Financial Problems: The Parish Nurse may be able to help. Call 605-360-6540 for Laurie. ​ All information is kept confidential. with you. Laurie also tries to deliver a meal to church members after a baby is born, a hospital stay, or a same day surgery. Laurie is a Parish Nurse 7 hours a week. Phone # 605-360-5540. The Health Cabinet is a Board of church members that support and guide the Health Ministry at First English. There are between 6 and 8 Health Cabinet members. The number one thing Laurie asks for is Prayer. The group meets on the 2nd Tuesday of the month at 7pm at the church. Please consider being a member of the Health Cabinet. Our goal is to encourage healthy activities in and through the church. Health Ministry encourages Healthy snacks for Bible School. Blood Pressures are offered once a month at coffee hour and adult forum topics are shared in the spring. The Health Cabinet also supports Health Ministry by getting involved with community activities, and benefits. Present Members of the Health Cabinet are Marlene Sweeter, Cindy Brewer, ​Carolyn Gulbrandson, and Renae Buehner.